The option we’ll use is the npm module johnny-five. Johnny-Five isn’t limited to certain hardware but instead supports a wide range of different microcontroller platforms (including the Tessel) using various I/O plug-ins. The only drawback is that some of these platforms (like Arduino) don’t allow you to execute the JS code directly on the microcontroller. Instead you execute it on a “host system”. The way it works for Arduino is that you execute the JS code on your “host system” (e.g. your computer) using Node.js and the johnny-five module sends the actions via the serialport module to your Arduino that is running the firmata firmware that is designed for remote controlling an Arduino. This way we have full control over the hardware while it’s connected to our computer. 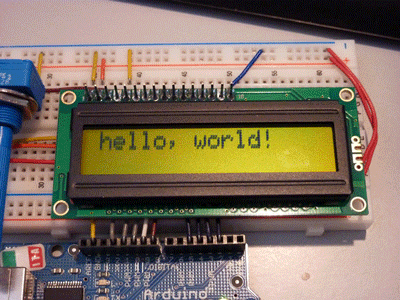 The first thing we need to do is to make sure your Arduino is correctly recognized. Plug it into your computer and click on the Tools menu. In there you want to choose the respective board you are using — in my case I had to choose Arduino Nano. Also make sure to choose the right port under Tools → Port. It should contain something like usbserial in it. If such a port is not listed make sure you have the necessary drivers for your Arduino installed. Next we need to install the firmata firmware on our Arduino to be able to communicate with it. Open your Arduino IDE and install the Servo libraries by clicking on Sketch → Include Library → Manage Libraries and searching for the library. Lastly we need to download StandardFirmataPlus.ino file into our Arduino project directory (in Mac by default under ~/Documents/Arduino) and upload it to our Arduino. You can find your Arduino directory by going into Preferences and looking up the Sketchbook location. Note: If it fails uploading the code try to install the “Firmata” library the same way you installed the “Servo” library. The equivalent of Hello World in hardware is probably making LEDs blink. The nice thing is that the Arduinos typically already have an LED on the board that we can use to see if everything works without having to wire up anything. So let’s get started! To stop the program type .exit or press Ctrl+C twice. With this circuit if we turn on the pin D6 it will start lighting up the LED. 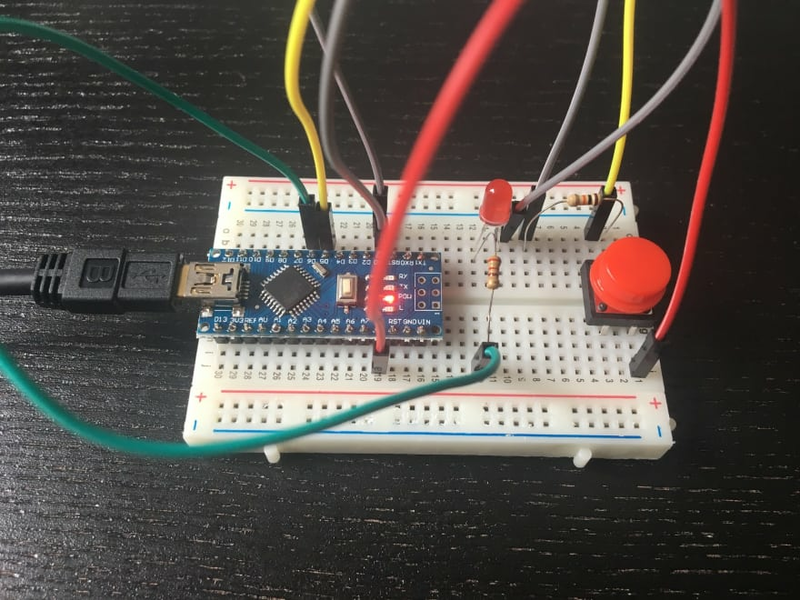 Connect one pin to 5V on your Arduino and the diagonally one to both a 10kΩ resistor and to pin D5 on your Arduino. Connect the other end of the resistor to GND of your Arduino to close the circuit. Restart the script and start pressing the button. The LED should light up when the button is pressed and stop lighting up when you release it. 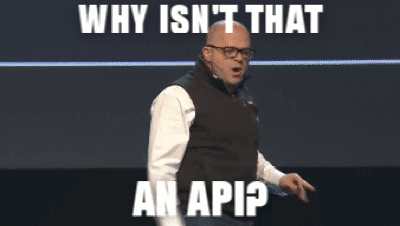 Why isn't that an API? My favorite part of nodebots is the fact that we can leverage the whole npm ecosystem. So let’s spin up a quick web server using express and light up the LED on every request and let’s use got to do an HTTP POST request to a RequestBin. Make sure to replace YOUR_REQUEST_BIN_URL with a valid RequestBin URL. You can create one on their website. Now restart your program and wait for it to state that the server is listening. Navigate to http://localhost:3000 and you should see the LED light up for one second. Refresh the page and you will see it again. Afterwards push the button and refresh your RequestBin page to see the request that was made.